When it comes to the important questions, I'm not afraid to ask them and try to provide some answers. For example, who is Ed Sheeran dating at the moment? Seeing as the 2016 Grammys are right around the corner, and Sheeran is nominated for four, many of his fans are probably wondering who he might walk the red carpet with. Well, there is a very good chance he'll show up with Cherry Seaborn, who has been his rumored girlfriend since around September 2015. The two actually made headlines over Labor Day weekend in Las Vegas, after being spotted at Wet Republic inside the MGM Grand Hotel & Casino alongside Calvin Harris (who also happens to date Sheeran's good friend Taylor Swift). Harris even shared a funny picture (below) of the group on Instagram, but sorry Swifties, the 1989 singer is missing. 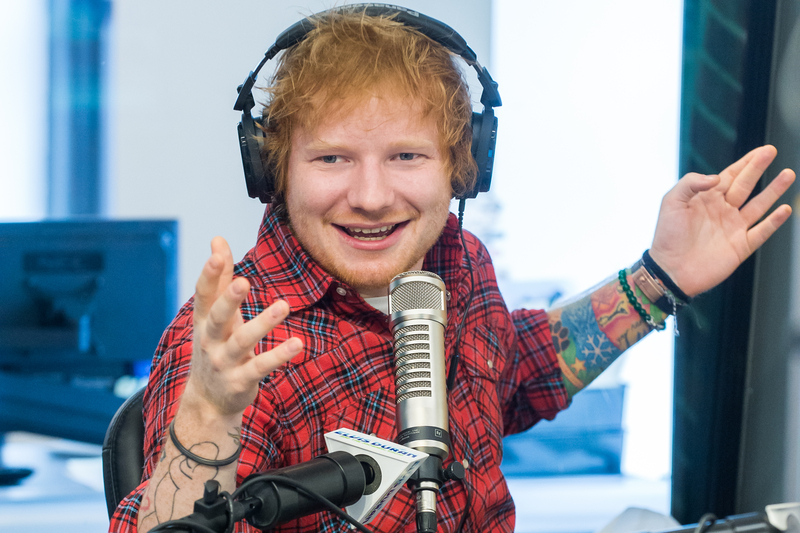 An Us Weekly source claims that Sheeran and Seaborn have been friends since high school. Basically, they seemingly have quite the history and have known each other for some time. Us also reports that way before their Vegas outing, the duo were spotted hanging out in New York City, including spending time together at a New York Mets game. In September 2015, E! News also confirmed the news via a source who said that Seaborn is most definitely "[Sheeran's] chick." Before Seaborn, Sheeran dated Athina Andrelos. Actually, in March 2015, the British singer awkwardly broke the news about their split during an interview with Australia's Kyle and Jackie O Show. As for Seaborn and Sheeran, they definitely appear to be a couple. There really hasn't been much news about them since September, but maybe they're just trying to keep their so-called relationship private. Per these Twitter photos shared in January, it sure looks like they are still going strong. Whatever the case, they might even be planning to officially step out as a couple at the 58th Grammy Awards. Sheeran's biggest fans will just have to patiently wait and see.